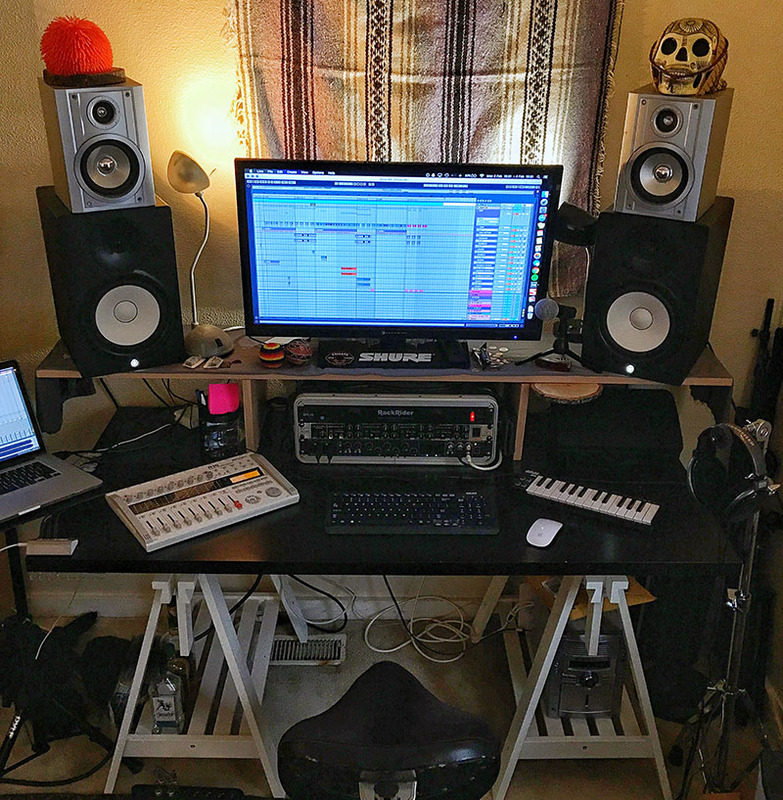 Building a music battle station can be a bit of a challenge. With your growing collection of gear, the need for everything to be accessible, and the tangle of cables to hide, it all gets cumbersome quite quickly. 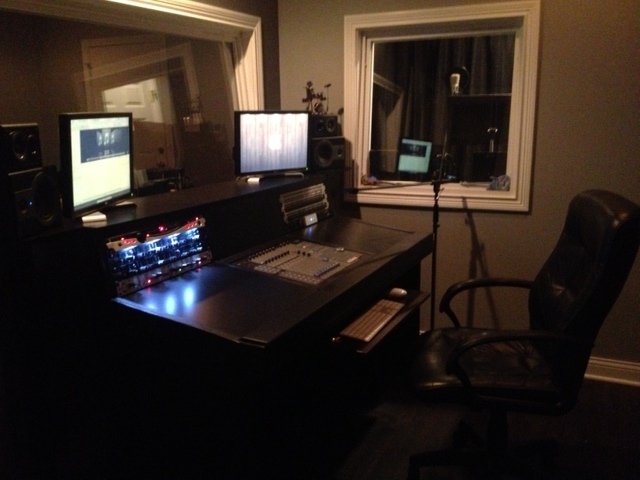 You may have considered buying a studio desk until, that is, you see the hefty price tags. The next best thing (and most cost effective solution) is to build your own. Thankfully we got something for everyone. 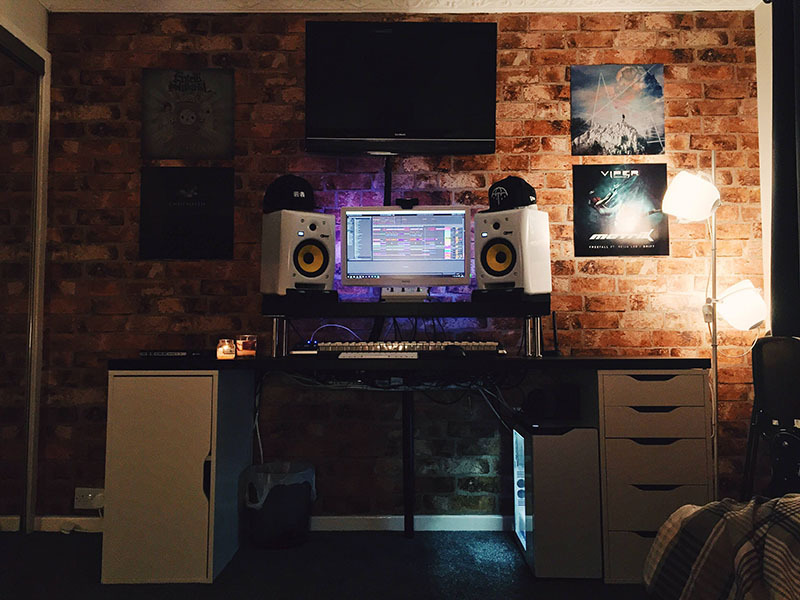 If you’re looking to just put together a few Ikea pieces for your budget bedroom studio, we got some awesome ideas. But if you’ve got a little woodworking or welding experience and you want to put together a beautiful music making masterpiece, we came up with a few of those as well. Let’s start with something easy to build, but still looks sharp and professional. It’s minimalist, has room for your most basic gear, and costs about $334 in parts. Not to mention this comes with a great set of instructions on how to duplicate this exact setup for yourself. SimplifiedBuildings does an amazing job of laying out all the instructions and plans you’ll need to build a reclaimed wood desk. You’ll need a bit of woodworking skill, some tools, and able to get your hands a little dirty. 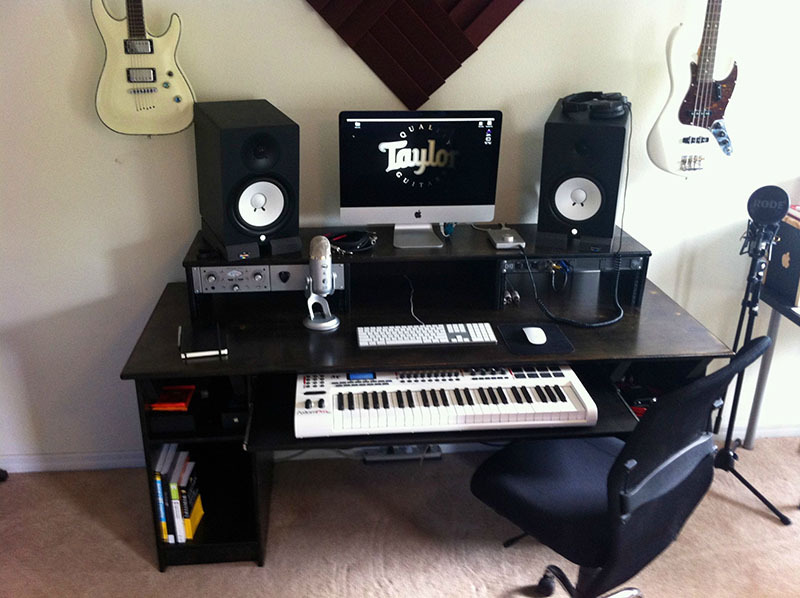 But then you can customize your desk and save some money doing it. 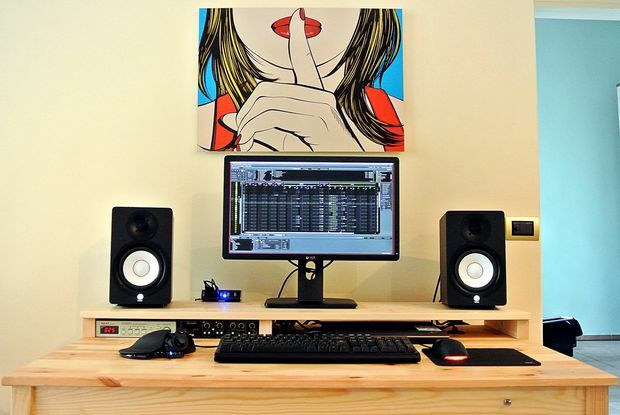 Here’s a great photo blog of an absolutely beautiful desk. The build instructions do leave the specifics up to your imagination, so if you’ve got some woodworking/building experience that will certainly help. However, the general overview should be enough to get your going, then just paint with ebony stain and you’ve got a professional setup. 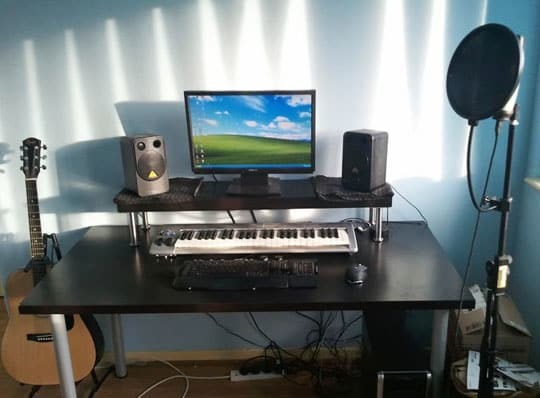 Another (super) low budget setup, in fact there is only about $70 in parts here, and that’s enough to get you started with your very first home studio. Just hit Ikea, grab a table top and shelf, add some table legs and screws and you’re all set. If you want to go pro, then this is it, everything is perfectly slotted and custom fit, and then finished with semi-gloss latex paint. It looks like something straight out of a Sony music studio. Tim does a great job with his build photos and showing a few build tricks, the only thing we wish for is bigger photos. A 4 day build and all done for under $300, this is an amazing setup that keeps costs way down. There’s some really great photo instructions, along with a 3d sketchup that should help you in recreating this desk. Over on Reddit, simbabeat created something a little different and compact. It’s definitely worth sharing for some creative ideas (and the bicycle seat). 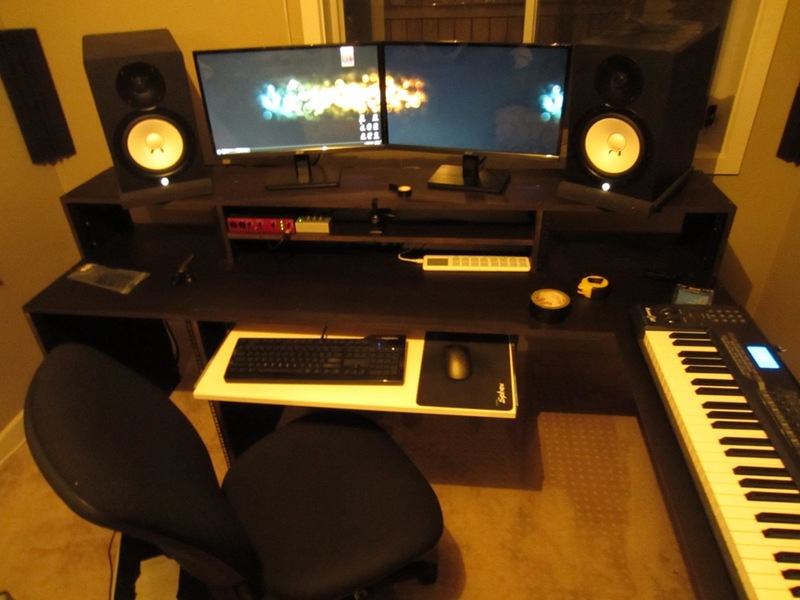 I’m starting think every producer starts off with Ikea furniture at some point, but why not? It’s cheap and accessible and easy to build. There’s no build instructions here, but you won’t need any, this setup builds like lego. Here’s what they used: a Linnmon table top, placed on two Alex drawers, with an extra table leg at the back for support. On top there’s a Lack shelf, placed on four Capita legs. Starting to notice a pattern here? But again, this one is unique and useful in it’s on way. Not to mention, very, very low budget (under $100. They even provided a 3d sketchup. This is an absolute work of art, and comes with an assortment of cool hidden features. Like the sliding pullout keyboard, the multi-tiered shelving, and rack space. Keeping things simple, yet effective. This desk is a reclaimed oak top that was sanded and finished, then placed on an Ikea Bekant base. You can see some more detailed instructions in his reddit comments. Wow. 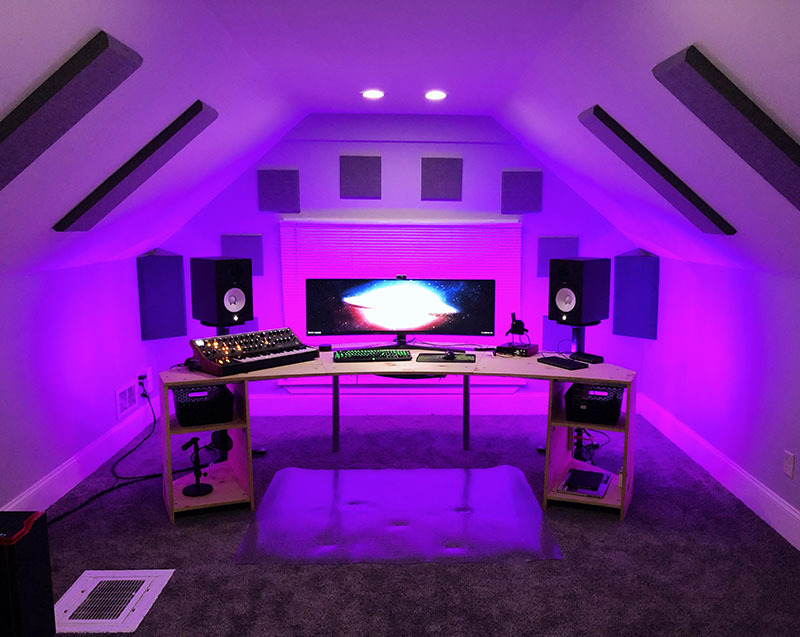 This is something else, and a fantasy room for most aspiring producers. If you’re ready for the next level there’s lots of interesting discussion on this room over on reddit, along with some extra pictures of the room itself, and finally, the build instruction gallery. 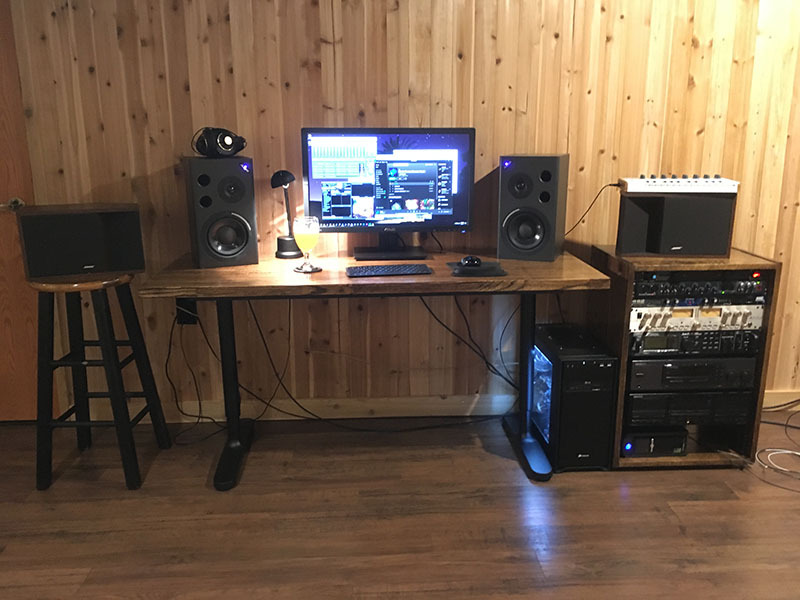 Came accross this little setup while over on reddit r/battlestations, and they somehow manage to cram an insane amount of audio gear onto a small ikea desk. And don’t forget about the nanoleaf on the wall. Wow. 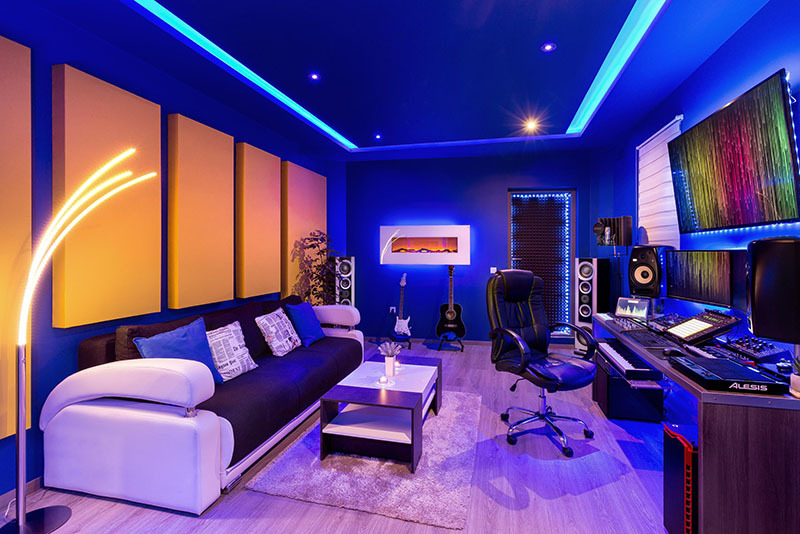 If you have any interest in music production at all (since you’re here then I imagine you do) then this room probably looks like heaven. 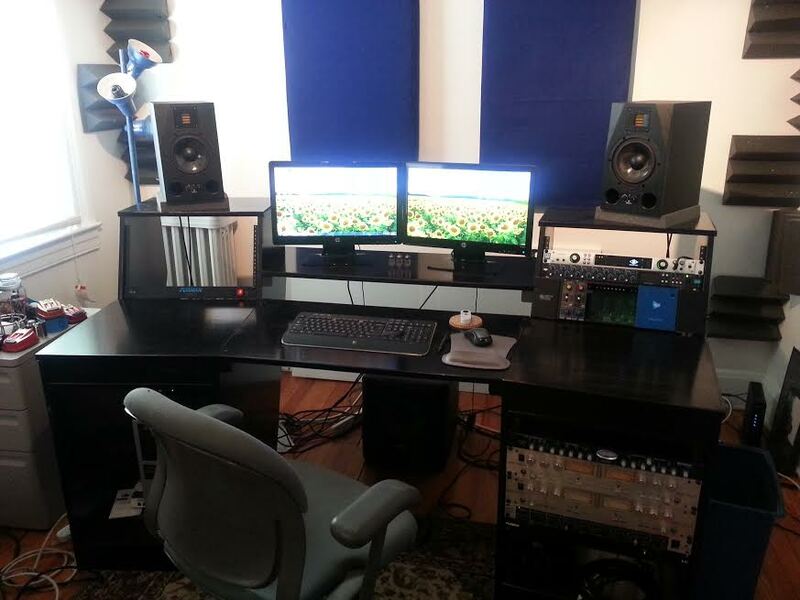 Be sure to check out Boris’s Instagram for a full tour of his amazing setup. Who says you can’t fit everything in one room and still have it look great? 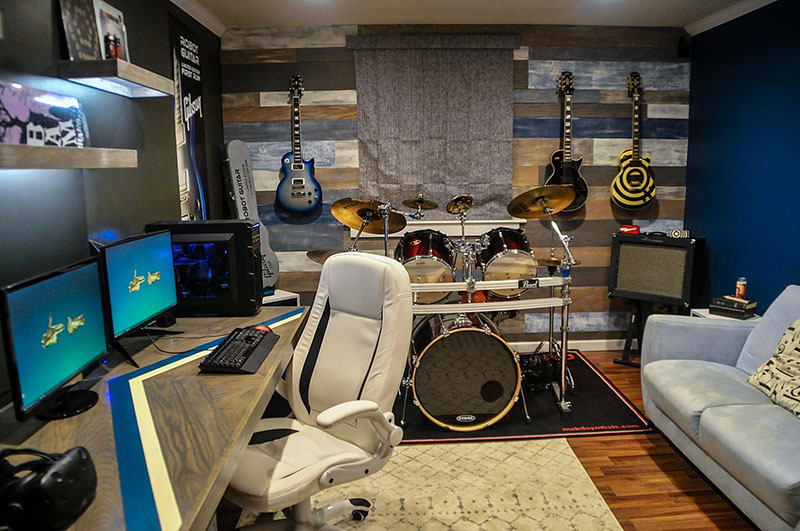 The plank wall, hardwood floors, and colors make this room come alive. Unfortunately there’s no build instructions here, but we have a full room tour for some great ideas. 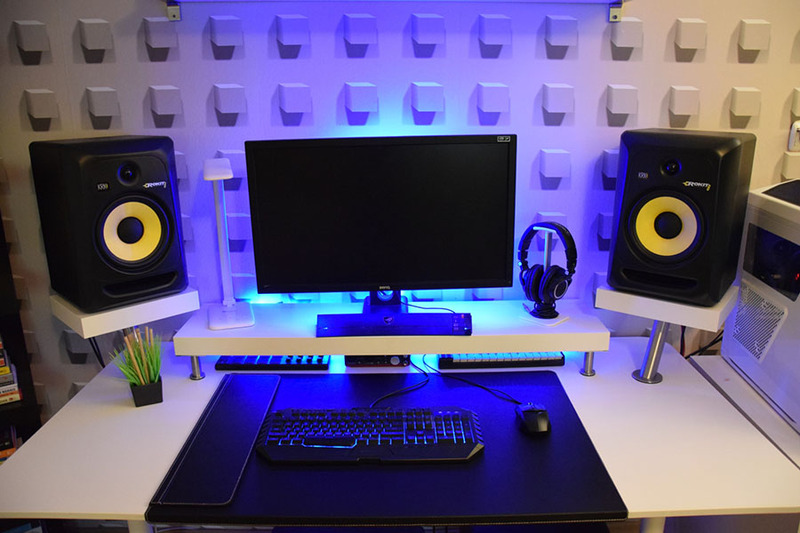 Symettry and perfect cable management come together to create an awesome compact studio and gaming station. 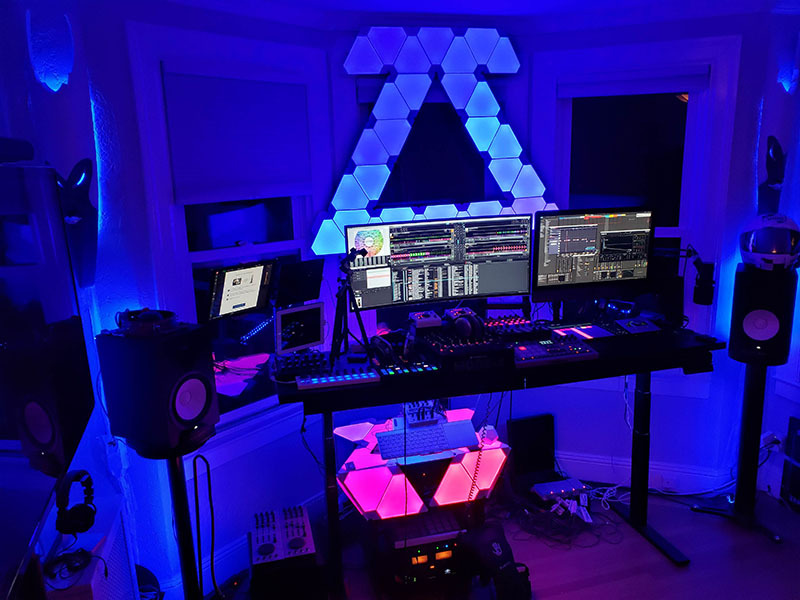 This is another discovery over on reddit r/battlestation, and while there’s no build instruction, there certainly is some points of inspiration. We’ll end on something different but very useful. 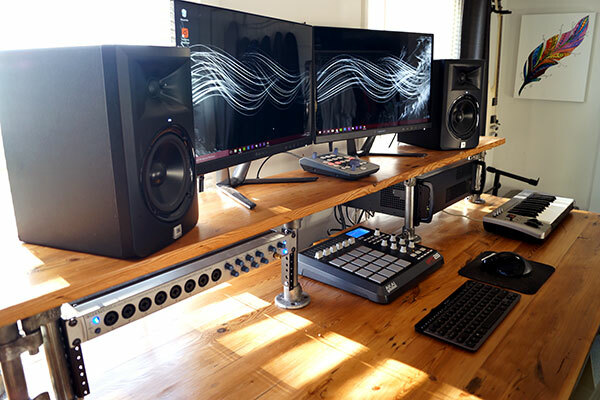 I came across these plans that lay out everything you need to build your own studio desk, and it only costs a few dollars. I’m not associated with this site at all, but it might be very handy to have for all you do it yourselfers. 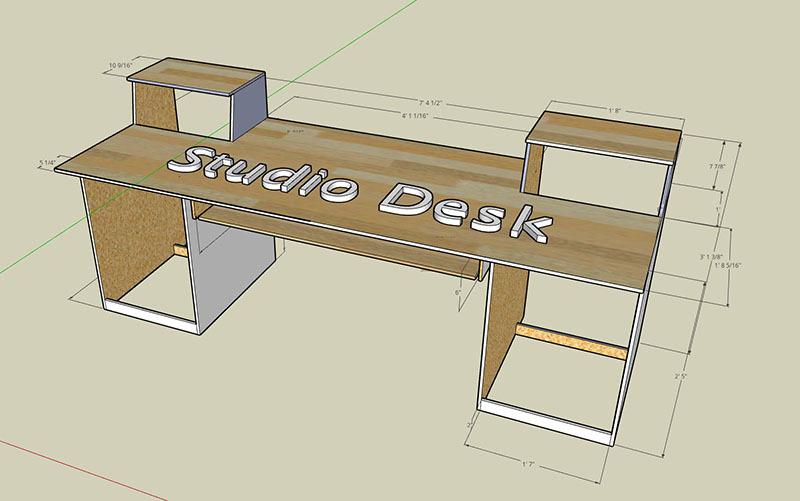 And as an extra bonus, I found this free 3D sketchup of a studio desk, all with measurements so you can make all your cuts, and just add some screws. 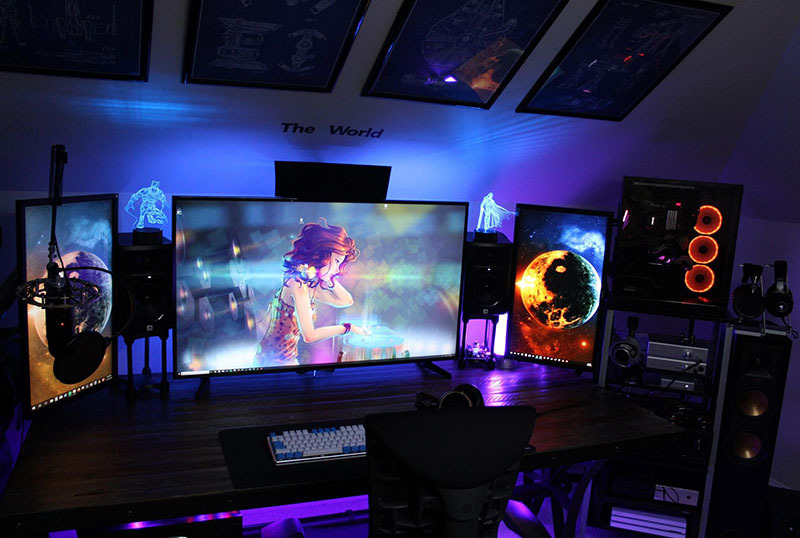 We have a lot more ideas for inspiration by checking out some amazing PC gaming setups.